Sanity® is not another tranquilizer or herbal calming supplement that dulls the horse's senses and can easily interfere with coordination. 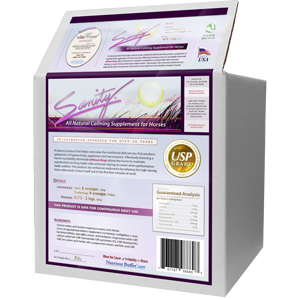 Sanity® is a natural mineral, vitamin and probiotic supplement which helps address nutritional deficiencies which are known to cause symptoms of hyperactivity, aggression and nervousness in horses. 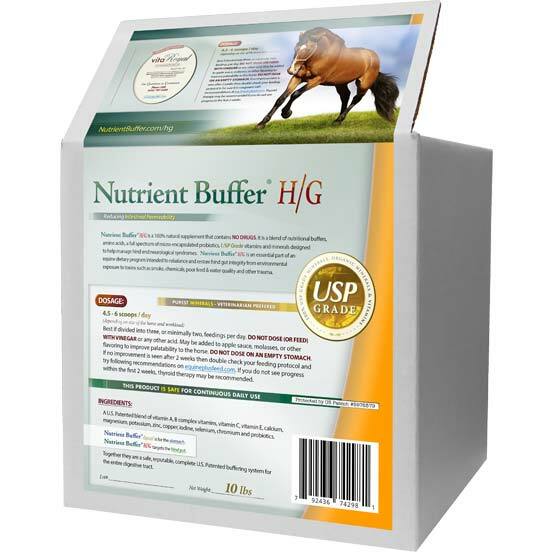 Sanity® provides a special combination of nutritional support - with soothing minerals, amino acids and vitamins - which are necessary for the healthy function of neurotransmitters in the brain (helping the horse stay calm and level-headed in lively or unfamiliar surroundings). 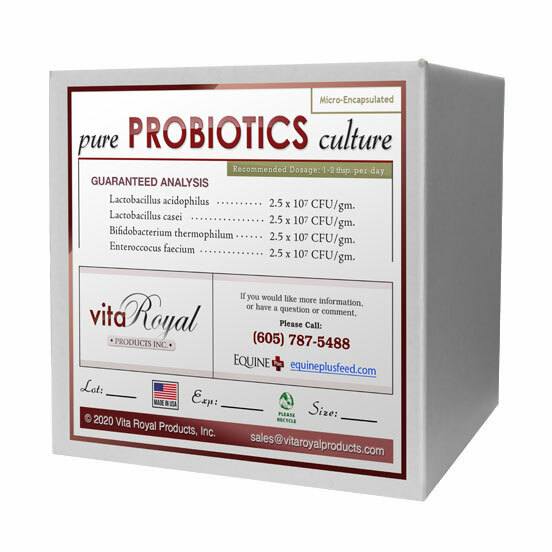 Added probiotics ensure optimal absorption of all the nutrients. 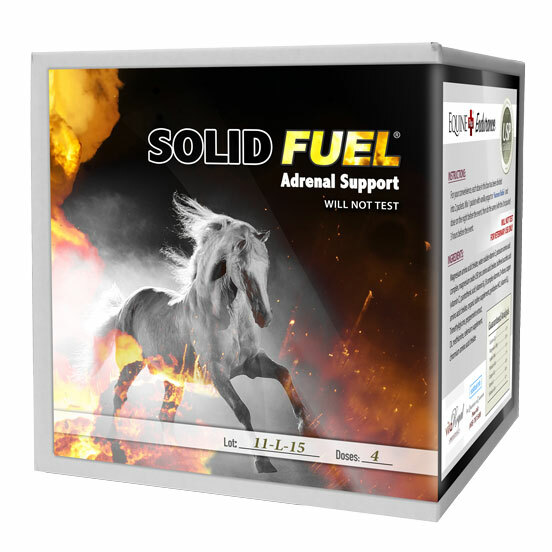 Sanity® can enhance the endurance of high-strung horses who tend to burn themselves out in the first few minutes of work. Sanity® helps to mellow equine disposition, lengthen attention span, curb compulsive behavior and fidgetiness, as well as lower excitability. 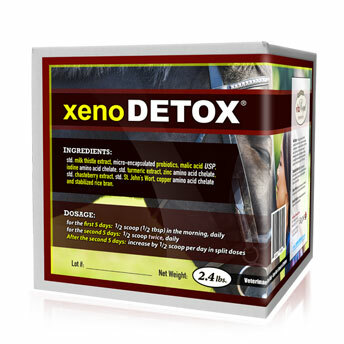 Sanity® can calm a horse before training, trailering and equine eventing. 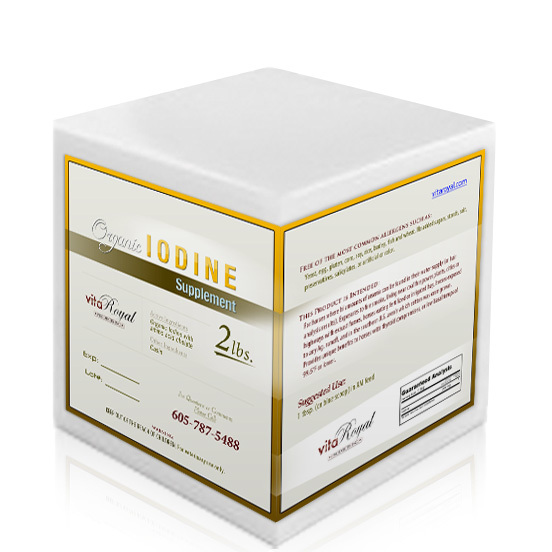 It can be top-dressed on feed or dosed. 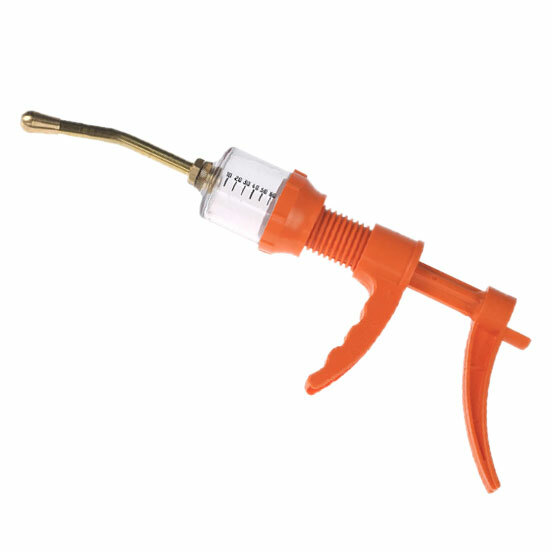 When dosing, many prefer mixing with Nutrient Buffer® liquid and administering with a dosing gun. 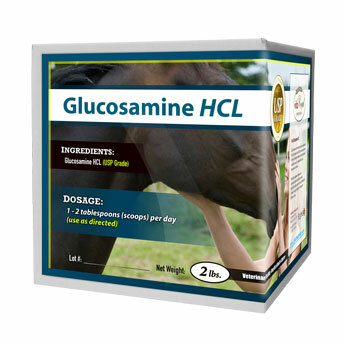 It is safe for daily use and the dosage should be adjusted to the size and temperament of individual horses. 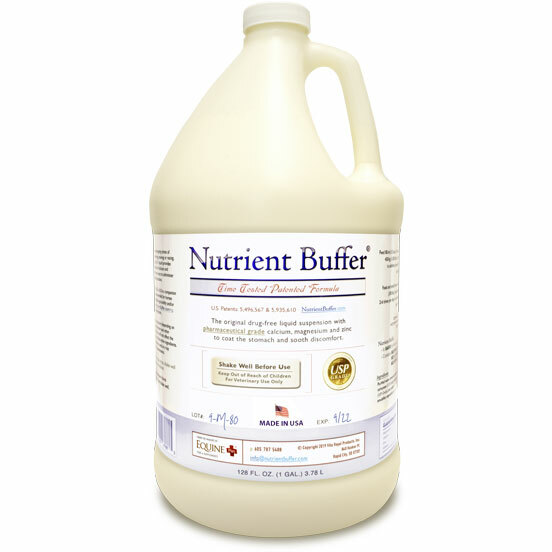 Horses with ulcers can show symptoms of aggression as a result of higher gut sensitivity, and we recomend Nutrient Buffer® liquid instead of Sanity® to calm those horses. 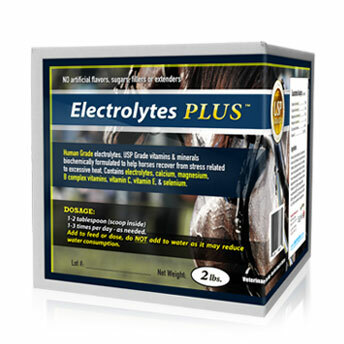 Veterinarians and horse trainers, all over the country, have been using Sanity® for over 30 years. 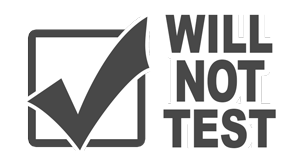 It's safe, reliable, does not test on race tracks, and horses will not build up a tolerance to it over time. 5 lbs. of Sanity® will usually last one month, depending upon use. 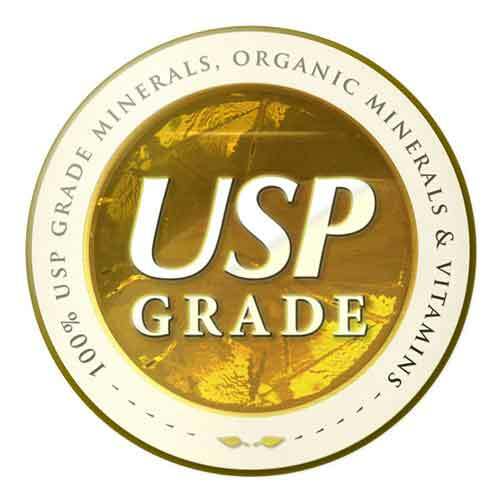 Calcium amino acid chelate, magnesium amino acid chelate, micro-encapsulated probiotics (lactobacillus acidophilus, lactobacillus casei, bifidobacterium thermophilum and enteroccocus faecium), magnesium oxide USP, calcium carbonate USP, B-complex vitamins (thiamine HCL USP, riboflavin USP, niacinamide USP, calcium pantothenate USP, pyridoxine HCL USP, folic acid USP, B-12 USP), zinc amino acid chelate, silica and peppermint extract.